If you love bacon and you’ve got five bucks, we suggest you take note of these spots serving some conventional and not-so-conventional dishes with these strips of heaven. From breakfast to dessert, Vancity Buzz and Chowmenow found some places to go when you’re craving this part of the pig. This greasy spoon is well worth the trip out to Richmond. 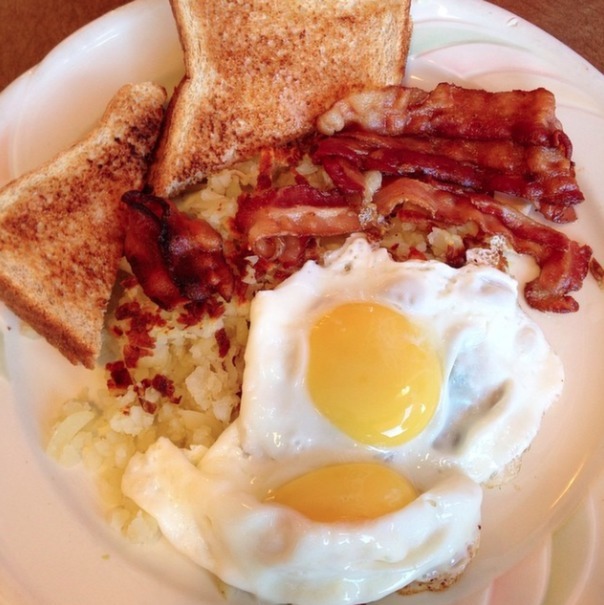 Get two eggs, toast, hashbrowns and four slices of bacon for $4.50 – including tax! 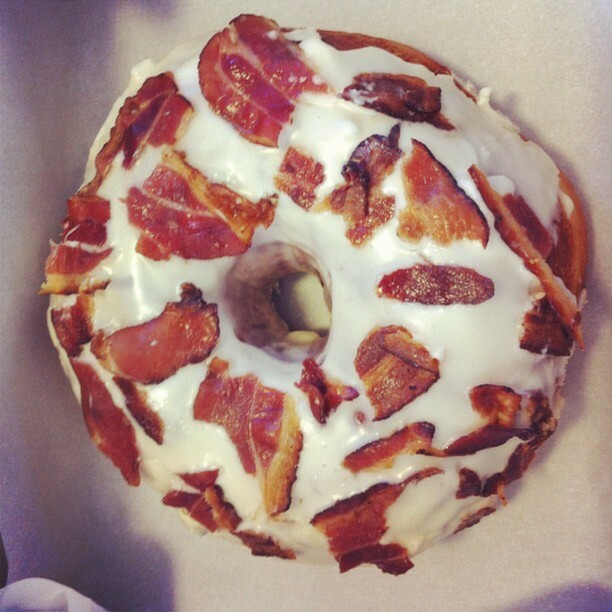 The Canadian Whiskey Bacon Donut is made with whiskey, bacon fat, and maple extract baked right into the glaze, then topped with house made double smoked bacon. It’s definitely a splurge in calories but not so much in price, as they’re $3 each. 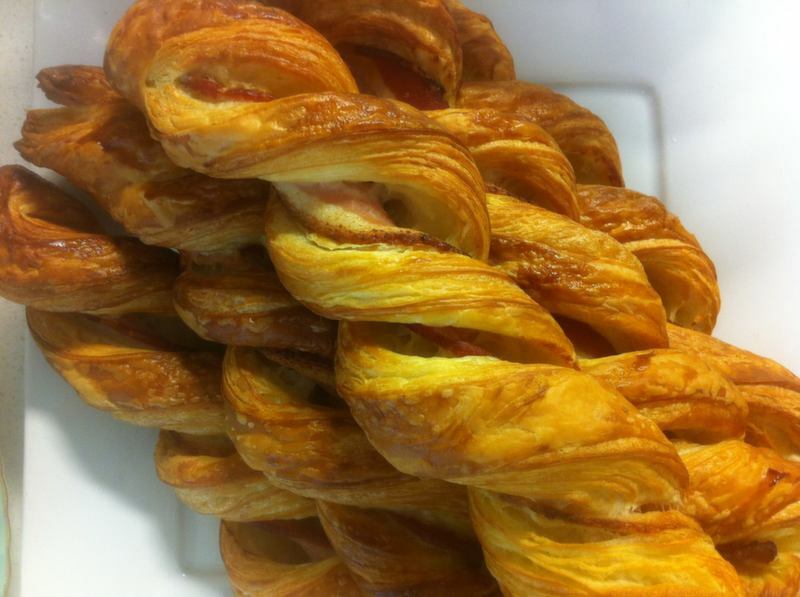 The only problem with the Bacon Croissant Twists for $2.75 and the Bacon Cinnamon Bun for $3.50 is that you’ll have to call ahead to see if they have any left! If you’ve ever ventured late night down Granville Street in search of food, than you probably know Numero Uno quite well. 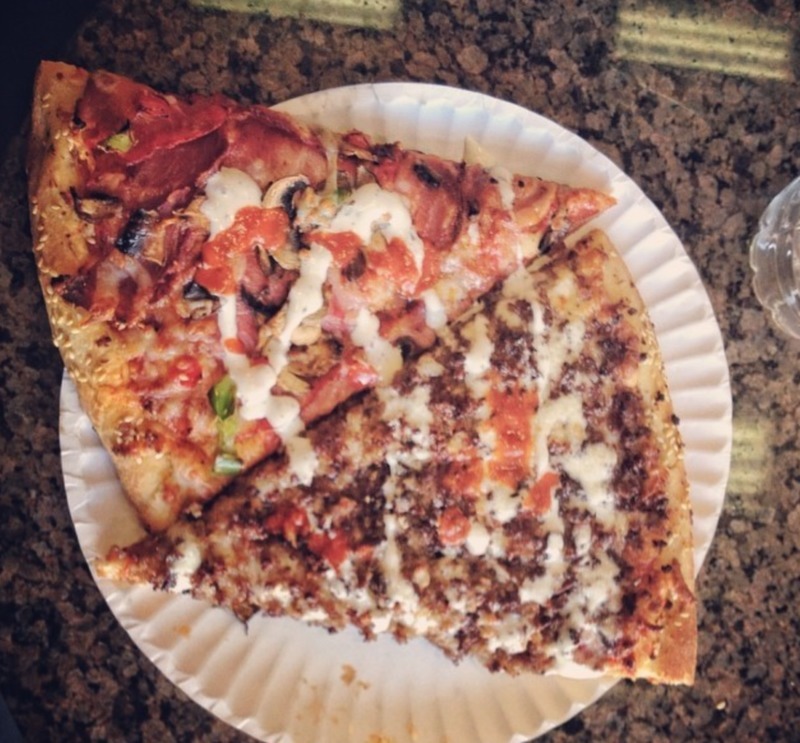 With two slices for $5, you can choose from five different bacon-topped pizzas to chow down on. Though their sandwiches look amazing, at $10 they’re double our budget. However, there are some sweet treats you can indulge in, including the Bacon and Cheddar Twisty Bread or the Bourbon, Bacon & Caramel Brownie Bite, both three bucks a pop. Hungry yet? 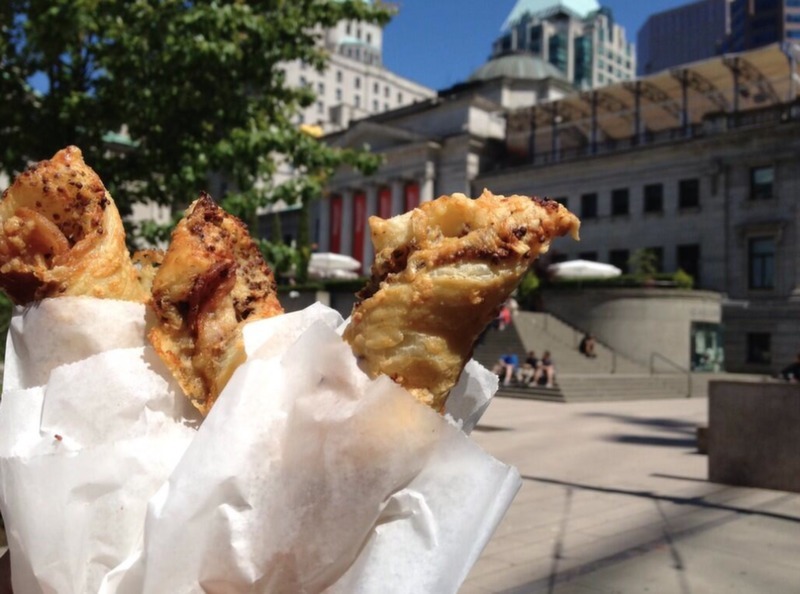 Sign-up to Chowmenow for the inside scoop on Metro Vancouver’s cheap eats that are $5 or less! You can also stay up to date on Instagram, Facebook, and Twitter.